This is a great dessert without a doubt my boys love it also it can’t be in my house for more than an hour unless it will be gone. 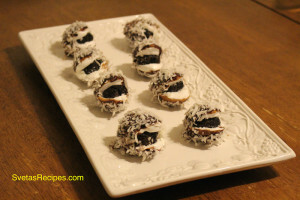 Its compiled with quite a few ingredients and is a combination of chocolate and coconut. Ingredients: 1.) In a pot add coca powder and sugar, Mix well. 2.) Add milk and butter, mix again and put on the stove. 3.) Turn heat on and wait until the chocolate boils. 4.) 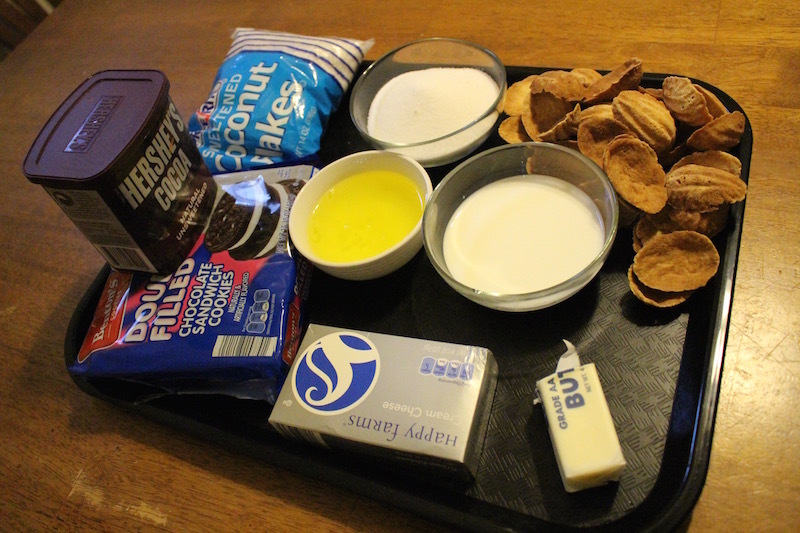 Mix cream cheese and crushed Oreo. 5.) With your hands make a small sphere that will fit inside the nut. 6.) Beat the sugar and egg whites until it is fluffy, do this with a hand mixer. 7.) Using a spoon put some cream on the inside of each nut. 8.) Put the Oreo mixture inside the nut and press it tougher so it does not come apart. 9.) Add the chocolate onto the nut and sprinkle some count flakes on all sides. Do this with all the nuts and you should have a beautiful dessert that is restaurant quality to serve. This is a great dessert without a doubt my boys love it also it can't be in my house for more than an hour unless it will be gone. 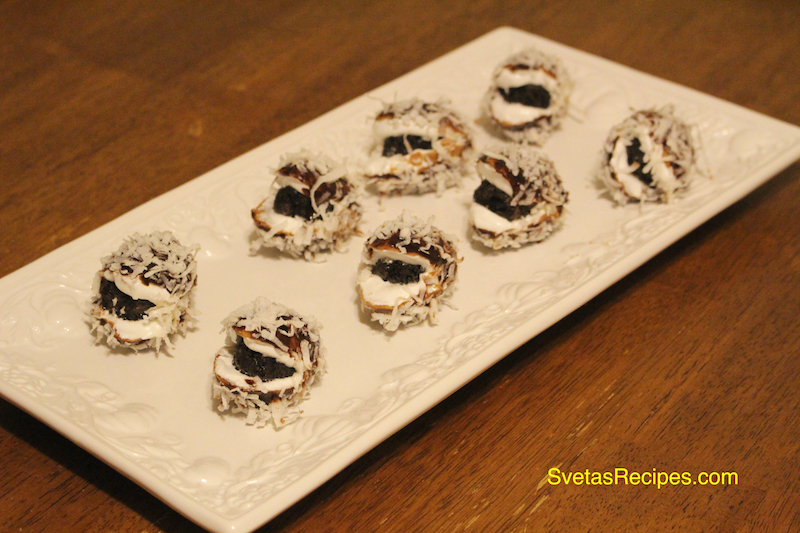 Its compiled with quite a few ingredients and is a combination of chocolate and coconut. In a pot add coca powder and sugar, Mix well. Add milk and butter, mix again and put on the stove. Turn heat on and wait until the chocolate boils. 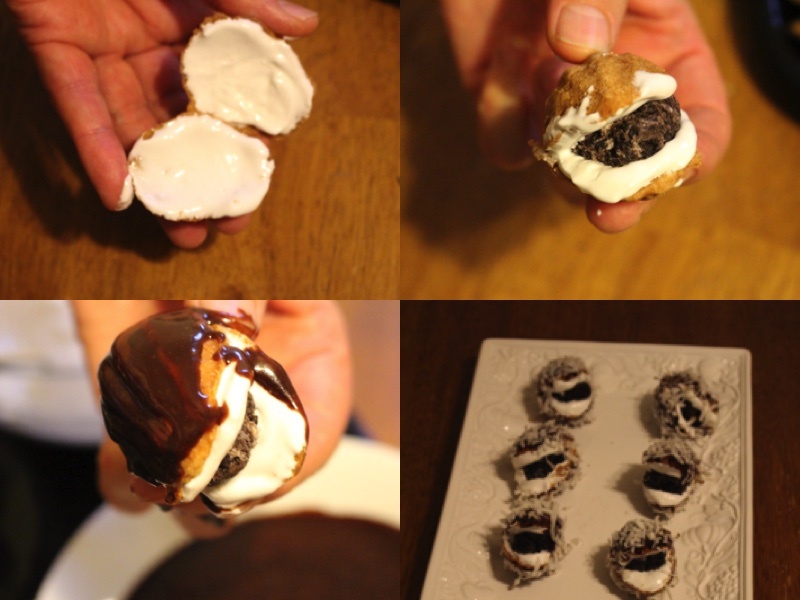 Mix cream cheese and crushed Oreo. With your hands make a small sphere that will fit inside the nut. 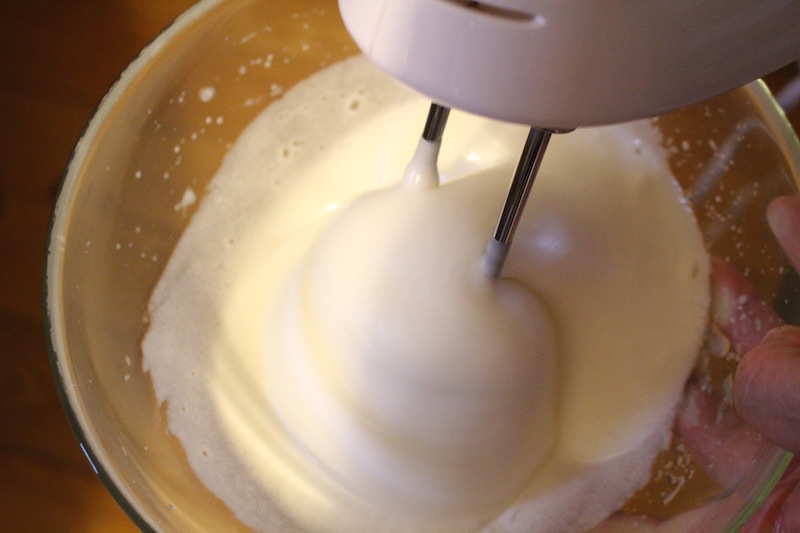 Beat the sugar and egg whites until it is fluffy, do this with a hand mixer. Using a spoon put some cream on the inside of each nut. 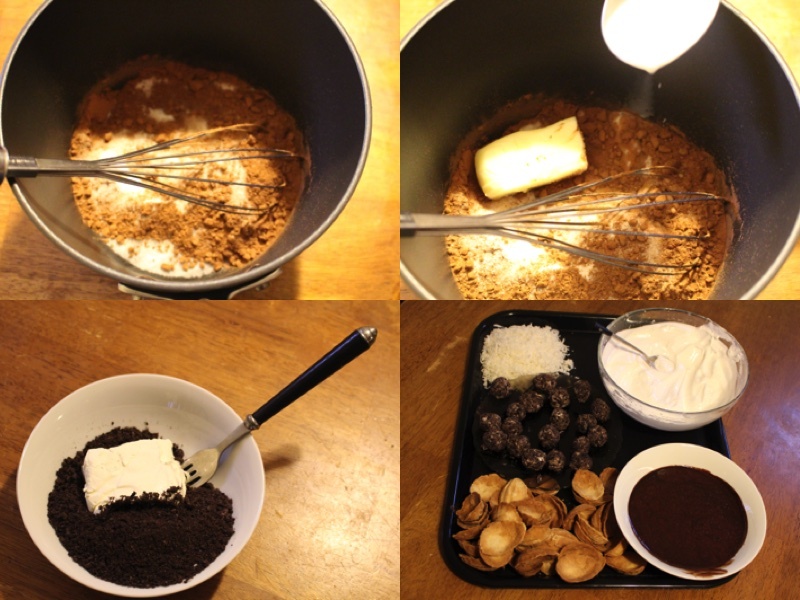 Put the Oreo mixture inside the nut and press it tougher so it does not come apart. Add the chocolate onto the nut and sprinkle some count flakes on all sides.